The radiation treatment which is one of 3 university method of treatment of cancer. There weren't a lot of Mr. patients who choose radiation treatment from the policy to which they say "It was detected in early stages, and an affected part was removed." in the first time treatment. That it has been developed by a team of industry-university-government in order to do the radiation treatment with which cancer can be hit more safely and surely without stopping build, radiation treatment equipment "Vero4DRT". I'll introduce a story of Makoto Hiraoka Hiroshi teacher of the Kyoto university graduate school professor who took the leading part in development. Mr. patient who chooses radiation treatment as treatment the first time of cancer as of 1995 is about 15 %. When I thought it's 60% at various countries of Europe and America in at that time, it was a very low number. After that 25 %, 33% started to choose radiation treatment by the first time treatment present in 2005. Rise of knowledge about radiation treatment and the case that Mr. old patient who can't have the medical treatment which burdens a body heavily increased are related. The technological progress is also related to the background where Mr. patient who chooses radiation treatment increased. 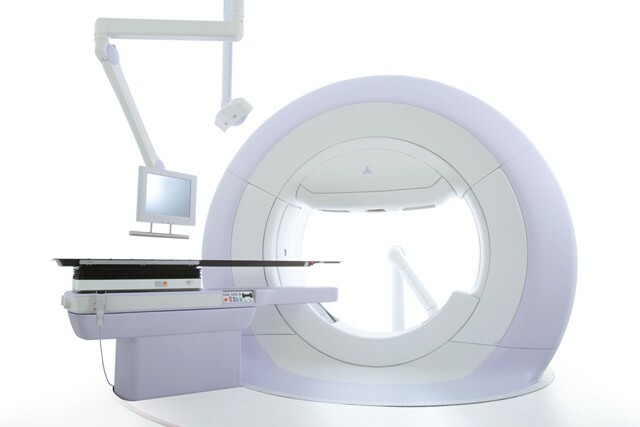 Technology of radiation treatment such as the fixed place radiation treatment which concentrates and applies radiation from various directions to a focus and the strong irregularity radiation treatment to which radiation is applied according to the shape of the tumor establishes it at present. Local phase control factor was also rising by these remedies. A tumor reduced by treatment or local phase control factor is the percentage by which the growth of a tumor stopped. Local phase control factor also improved the survival rate after treatment beyond 90 percent by early cancer. It's also related to suppress a side effect. We have developed "Vero4DRT" by cooperation of industry-university-government in order to receive radiation treatment more safely and surely." Radiation treatment equipment using the Japanese technical power which is a manufacturing large country". You could take the most advanced technology in and apply now radiation to only a tumor by the precision higher than conventional technology. It's used at 6 hospitals at present. The cancer center where I serve as a center chief is established attached to Kyoto University hospital. The one a cancer center could do in the university hospital was a first thing in Japan. When seeing worldwide, this isn't an unusual thing. Mr. old cancer patient is because diabetes often suffers the concurrence of other sickness. When I develop other big sickness at a professional hospital of cancer, and a complication has occurred, it comes to give up. When it spans surgery by the first medical examination by Japanese cancer treatment, many Mr. patients don't show the other choices. There is a surgical operation and it's treatment of putting. While a treatment policy is often decided by the medical department which hangs first, the doctor who does radiation and chemotherapy with surgery teams up and is doing a conference at a cancer center in Kyoto University hospital. After Mr. patient had the explanation accurately, too, a remedy could be chosen now. I'm thinking it's possible to reduce the thing which improves the therapeutic effect of Mr. patient and a burden to a body by team medical care. When telling information each other in the team, we can get new regaining consciousness, too. For example by what kind of viewpoint a doctor of surgery is confronted with cancer treatment can learn many things. Our activity will be a model, and it's expected that cancer treatment by a team is permeating nationwide .